From mountain climbing in Norway and traversing the highlands of Laos, to spotting orangutans in Borneo… bite-sized backpacker Fluffy (@thebitesizedbackpacker) is always ready for more! The adventure started in 2008: Fluffy, a stuffed leopard from Almelo, was purchased by PPJR Productions to co-star along actors Yvonne Oldenhof and Robin ten Broek in the Dutch feature film “Acht“. 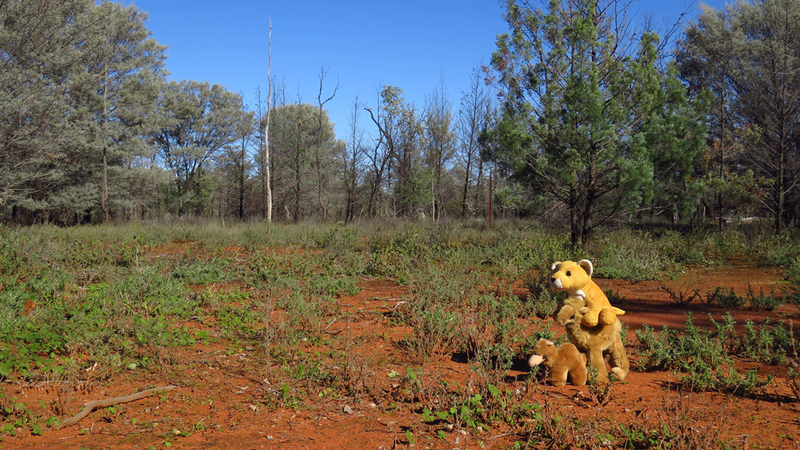 Initially no more than a prop, soon after production on the film started Fluffy started living a life of his own. 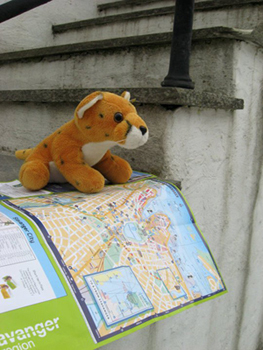 In the summer of 2010 Fluffy embarked on a journey across borders, travelling Europe with humans Pim and Martin. In the timespan of a few years Fluffy subsequently travelled 36 European nations, visiting over 200 towns, cities and villages. Along the way he took a host of pictures of himself to share his stories with the world. Rock climbing in Norway, spelunking in Hungary, sleeping in a morgue in the Netherlands, taming dragons in Slovenia, cross-country driving in Turkey, feeding tigers in Thailand, spotting orangutans deep in the jungle of Borneo… yet always ready for more! Fluffy’s worldwide fanbase grew and to continue to share his inspiring stories, Fluffy launched his own Facebook page, as well as an Instagram account. Additionally, in November 2016, Fluffy published his first storybook in which he recounts the stories of the villages, towns and cities he visited during his period in Southeast Asia and the Pacific in 2014-2016. In the storybook, “Fluffy’s Adventures: Southeast Asia & the Pacific“, pictures are displayed of Fluffy’s voyage, accompanied by texts stories and anecdotes relating to the images. The storybook is for sale through Amazon, CreateSpace and affiliated online webshops and bookstores, such as Bol.com.